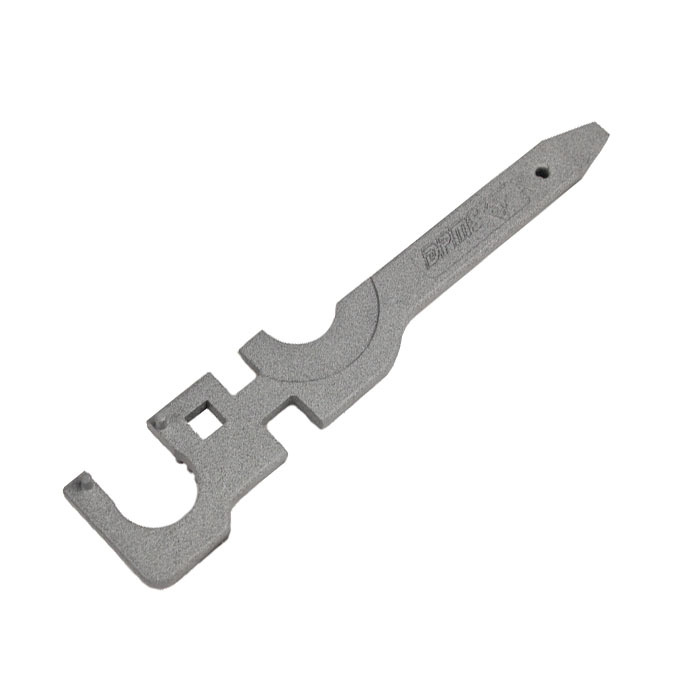 The DPMS Multi-Tool is used for installation and disassembly of Free Float Tubes, Barrel Nuts, Compensators, Barrel Extension Tubes and Carbine Stocks. Provides a 1/2" drive for a socket wrench and has a screw driver tip for the buttstock screw. Powder coated steel.